In the quest for spiritual enlightenment, people often view the body as an unimportant element, or worse a hindrance. This book suggests that it is this erroneous idea which gives rise to our continual battle and obsession with our body and body-image. 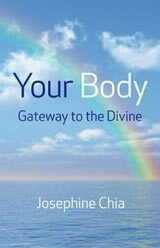 This book is a celebration of the physical body, of the creator who created it, and is a tool towards understanding how we can use our body and our five senses to find our way home to The Divine. This book does not steer you to any prescribed notion of what The Divine may be, you are encouraged to view The Divine in whichever way you are comfortable. However it does try to steer you towards living a life of awareness so that your communication to The Divine is enhanced. The teachings of this book are based on Eastern philosophies and particularly on Yoga. Although this book can be read and understood on its own, it could be seen as a more spiritual follow-up to Body and Mind Sculpture/Shape Up For Self-Discovery which explains basic yogic philosophy, postures and breathing techniques.